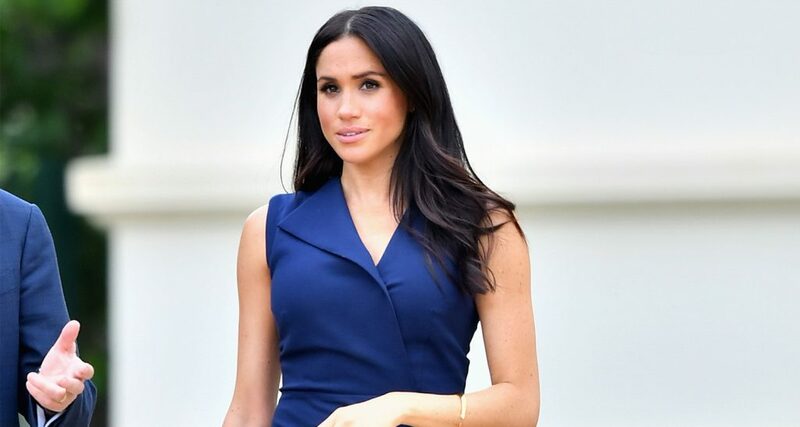 Virtually everything Meghan Markle wears ends up sending her fans on a buying spree in a bid to recreate the Duchess’ look. Little wonder she was named as 2018 best-dressed celebrity. Her influence has tremendously grown to the extent that her own friend, Jessica Mulroney is of the opinion that she actually played a core role in saving a particular fashion brand named Nonie from packing up. According to Mulroney, the fact that Meghan wore Nonie’s chic trench dress in July 2018 to one of the royal appearances helped to save the Calgary-based brand. Mulroney mentioned that being a Canadian designer is a tough thing, particularly because it is quite difficult for any Canadian brand to make an entrance into the U.S. market. Even where the brand succeeds in breaking into the market, it would still be faced with the Herculean task of getting the ideal retailers and ultimately sustaining its business. Mulroney added that a number of times, all that is needed is a one-time break which changes the whole narrative. Getting a celebrity to wear your item is no doubt one of the best ways of boosting your business. Mulroney noted that she has a good follower base on her Instagram account and also quite a handful of friends in the entertainment industry. Based on that background, she explained that she understands the kind of organic influence and impact getting a celebrity to wear your item would have on a business. She, however, didn’t give much away about the specifics with regards to Meghan Markle. She noted that everyone to a reasonable extent has a part of their lives that they would like to keep private and just like everyone else she also has things she holds very dear and doesn’t like to share. She illustrated the point by emphasizing that her life can be likened to an open book, but she still has those secrets she doesn’t allow anyone to get access to. Mulroney is considered by many to be the stylist to the Duchess of Sussex, but she thinks her career goes beyond just that title. She said styling constitutes only a little part of what she does. She noted that she has about ten different jobs, but a lot of people do not know that she works on the back-end of these things. A lot of people think all she does is dressing people but her business goes beyond that and she works with brands. She gets the opportunity to feature a couple of the brands, all thanks to her role as a fashion correspondent for Good Morning America and that is really doing a lot to help in building her public recognition across the U.S. According to a GMA executive, Jessica Mulroney is very talented and she helps people pay attention to accessible style.